If you want to build a successful blog, you must establish a solid blog strategy. And, yes blog still help build business, generate leads and bring traffic to a website. Part of your blog strategy is to establish the correct goals and objectives. 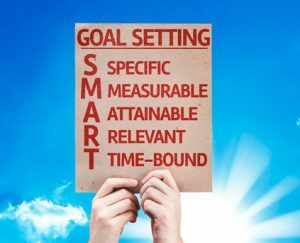 Here is a quick definition of goals and objectives. Goals are your general big picture endgame. Goals answer the question: what do we want to accomplish with the blog? The goals for your blog should align with to your company’s marketing goals. Objectives need to be SMART, meaning objectives are specific, measurable, actionable and time-specific. Objectives are milestones that help you reach your goals. To measure your goals, you must have some tracking mechanism to chart your progress. You should use Google analytics or similar web traffic measuring programs. Setup your measuring system before you launch your campaigns. After setting objectives and putting a measurement process in place, develop your strategies for each objective. Once you have your objectives in place, it is time for the nits, the tactics to make it happen. Your tactics are the specific steps you will take to implement your strategies. This is where the rubber hits the road. providing training on the blog platform and SEO plugins, etc. Once you implement your tactics, measure the results and make adjustments as necessary.